By law, healthcare providers are required to report deaths associated with the flu when the person who died was under the age of 65. Flu-related deaths of individuals age 65 and older do not need to be reported. Hence, the county health agency does not track the exact number of cases, and its data is dependent on information voluntarily given by local hospitals. Hospitals have experienced an increase in emergency room visits because of the flu this season. In December, more than 9 percent of emergency room visits at Arroyo Grande Community Hospital were linked to unknown, flu-like illnesses. Slightly less than 5 percent of French Hospital emergency room visits in December were related to the flu, as were about 3 percent of emergency room visits at Twin Cities Community Hospital. On Jan. 8, SLO County health officials announced the first death of the current flu season, a 56-year-old woman who died of complications related to type B influenza. The 56-year-old had at least one underlying risk factor that predisposed her to severe complications of the flu. By Jan. 11, the total number of flu-related deaths rose to 10, county health officials reported. 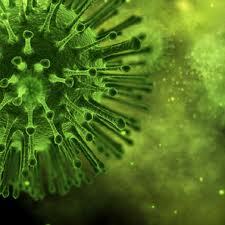 In Santa Barbara County, there have been nine flu-related deaths, as of Jan. 20. Each of the deaths were people age 65 or older.